Please use caution when dealing with CSV files and Excel. If you open the CSV file in Excel, Excel will round your data and cause you to lose high resolution timestamps. You will need to open the file in Notepad to view the high resolution timestamps. 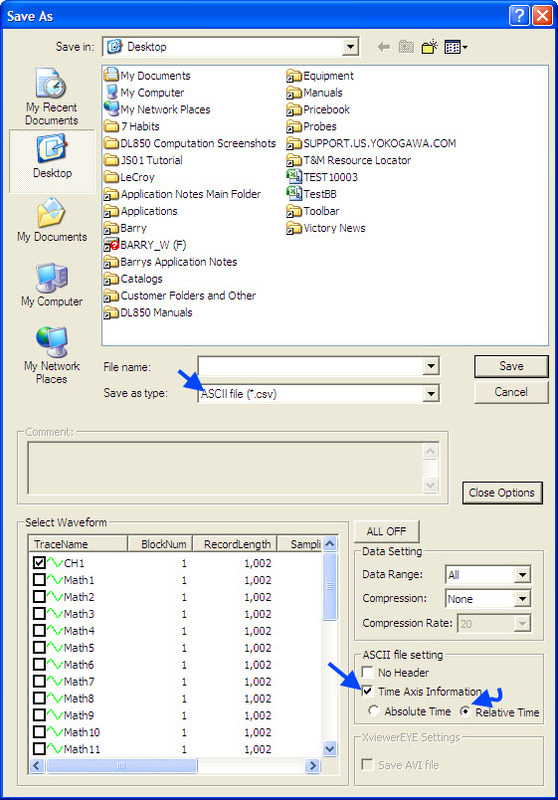 Save a backup copy of the original file if you wish to edit the data and save it using Excel. Make sure you DO NOT save over the original copy when using Excel. Open the CSV file in Excel and manually enter the timestamp data. Insert a time column and use the sample-interval added to each subsequent cell as you work down the spreadsheet with Excel's Fill-Down command. Please view the attached diagram for a screenshot of the Xviewer save setup. A sample CSV file with the resulting output has been attached as well.